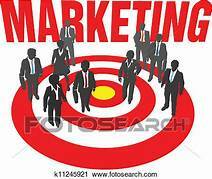 “These Low/No Cost Marketing Ideas can have High Pay-back, so give them a try !!! They say you have to spend money to make money, and that’s certainly true of marketing. But if you’ve only got a small budget to market your business, these ideas can help you get the best marketing “bang” for your limited “buck”. #1 Create a Marketing Plan for your small business. Periodically review it (ie, quarterly to keep up with Trends & your Vision. #3 Create a Website. Even if all your Website does is present the who, what, where & why of your business, at least it gives you a home on the Web and a chance of coming up in local search thru SEO (critical for getting your business found today). Increase your chances of being found in local search by listing your business in all possible directories. #4 Create a Blog. It can create a bigger market for your products or services if you do it right (regularly and have something of value to share). (ie, share your expertise, client testimonials, user info, user group, etc) Let your Blog be a source of wisdom on your products/ service & industry. #5 Develop a Social Media plan and implement it. Developing a presence on Social Media can help you reach more of public & prospects. Tweet about your business on Twitter. Use Pinterest to promote your business. Use LinkedIn to connect with potential clients/customers. #6 Research on how to create a powerful Sales presentation – emphasizing your competence & your benefits. Practice and modify it, so you become irresistible. #8 Give “free” Workshops or Classes related to your products & services. People love to learn, so classes on topics related to your products and services can be a big win at showing your expertise. #9 Write articles on Topics related to your business and send them to Media & post them on a Blog, so that you become an expert. #10 Ask for Referrals (& pay a Fee in need be). You’re much more likely to get something if you just ask for it. #11 Blow your own Horn. Everyone has something they can be proud of. Whether it’s an award, a new skill, a milestone or work for the community. Practice self-promotion by speaking & writing about your accomplishments. Send them to Media & Blogs. #12 Get “free” Publicity for your business by involving the Media (including Social Media) in your grand openings, moves, new Products/ Services or charity events, etc. #13 Spend a little $$$ on Social Media Advertising. All the major platforms offer forms of inexpensive advertising – often with incredible targeting options. #14 Create a Video about your product or service and post it on YouTube, your Website, Blog, etc. #15 Do friendly Cross-Promotions with other businesses. It’s a great way to cut down on the cost of advertising and can create valuable synergies that benefit all the partners. #16 Send out Promotions (etc) with your Invoices: of offers, discounts, new applications, newsletter, latest topics on your Blog, etc. #17 Create a Newsletter. This gives you a great opportunity to stay in regular contact with your customers and inform them of: reviews, resources, testimonials, visuals, charts, social media links co. & industry news + give them a “Call to Action”. #18 Sponsor (or at least be a big part of) a community Charitable event to create a + image. #19 Network with a face-to-face group. If you’re running a business, there’s no faster, easier way to make contacts and get known in your local community. #20 Join Professional and/or Business organizations; attend Business Mixers to make contacts, find Prospects. #21 Participate in Trade Fairs. If you need to, spend the $$$ to create an effective Display of your product or service. If need to, come up with some effective gimmicks to get attention attention. If too $$$, partner up with someone to share the Booth & cost. #22 Apply for Business Awards. If you win you’ll have bragging rights. If you are nominated that’ll get you some more credibility too. #23 Communicate your Accomplishments. Add a line about something you’re proud of to your Email signature. Announce it on Facebook, Tweet about it, add it to your LinkedIn profile. Let Customers & your Network know about it! #25 Show you Care by sending hand-written Holiday, Birthday, or Thank you cards to past & current customers, valued partners, vendors in your referral network, connections who have helped you—(everyone you can think of) . This is a low-cost and unique marketing idea for small business, but many entrepreneurs have reported its effectiveness. #26 Give away as many Product Samples with as many people as you can. You will attract the right customers who are right for your business. #27 Run a Competition with a Prize. Promote your competition and collect Email addresses and customer details to use for future promotions. The competition will also create awareness of your company and it’s products/services. #28 Hire an Marketing Student, from a local College. This Intern will offer fresh ideas, a creative approach – that is more in-synch with the younger generations – which opens up new opportunities for your business. #29 Ask your Customers for Feedback thru Surveys. Create your own or use SurveyMonkey & Google forms. #30 Pay attention to what your Competition is doing. Thanks to Google, it’s never been easier to see to get an idea of what your competition is doing, then you can formulate a strategy to beat them. #31. Build a team of “volunteer” Beta Testers. Everyone likes early access and being a part of something “exclusive.” Reach out to your most loyal customers and invite them to become part of an elite group of people that always get first dibs on new products or concepts and they’ll give you feedback on how to tweak it to make it better. Comments: Do you know any other Low/No $$$ ways for Marketing?